July 25, 2011 — SkyIMD, Inc., the innovators in aerial imaging solutions, will present the new SkyDSLR system in Booth 3138 at the annual EAA AirVenture Convention that opens today at Wittman Regional Airport in Oshkosh, Wisconsin. SkyDSLR makes it easy to take beautiful photos and video from light aircraft and helicopters. Compatible with popular Canon, Nikon and Hasselblad DSLR cameras, SkyDSLR includes an STC FAA-approved mounting system for multiple Cessna airplane models. The unique SkyDSLR mounting system is STC FAA-approved and includes a lightweight, sturdy pod that is ready to be mounted on the wing strut or under belly. The system allows for closed cabin, laptop-controlled operation. 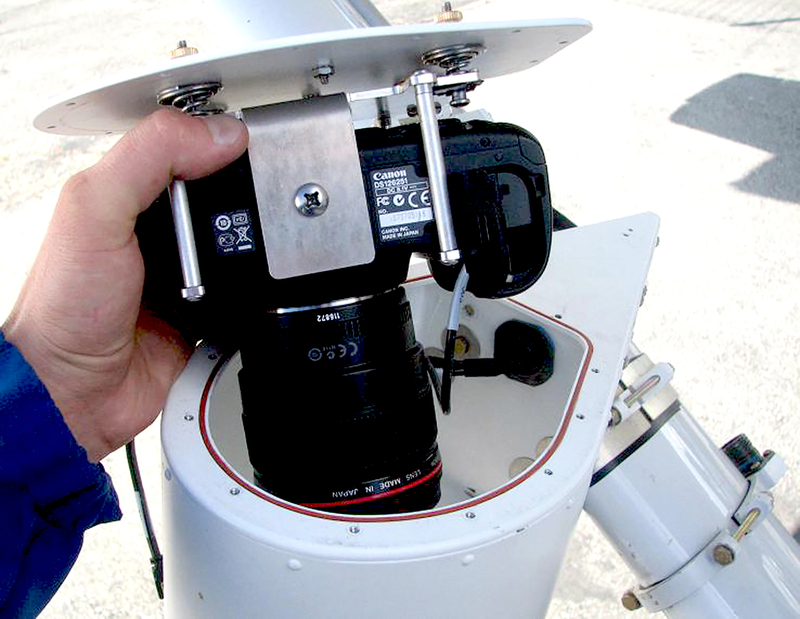 No fuselage holes, open windows or other modifications are required to use SkyDSLR. This entry was posted in aerial camera pod, aerial imaging, DSLR, right strut mount. Bookmark the permalink.